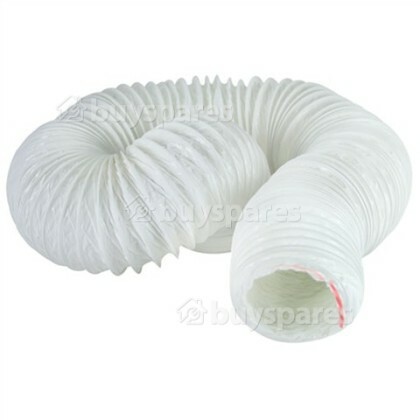 If your tumble dryer's hose isn't long enough for your ventilation requirements, use this Electruepart Extra Long Vent Hose to ensure that moisture from the dryer is expelled at a location of your choice. The purpose of the vent hose is to allow steam to escape your tumble dryer either by attaching the hose to an outside vent, or hanging it out of a window. This vent hose is easy to install and fits most tumble dryers to provide a watertight seal which will not leak and cause water damage to your home. Suitable for most tumble dryers that require an outlet hose with a diameter of 10.2 cm (4").